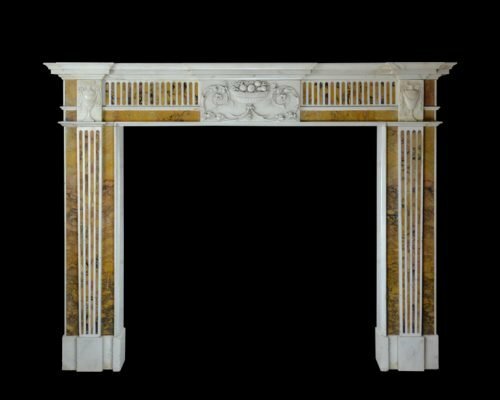 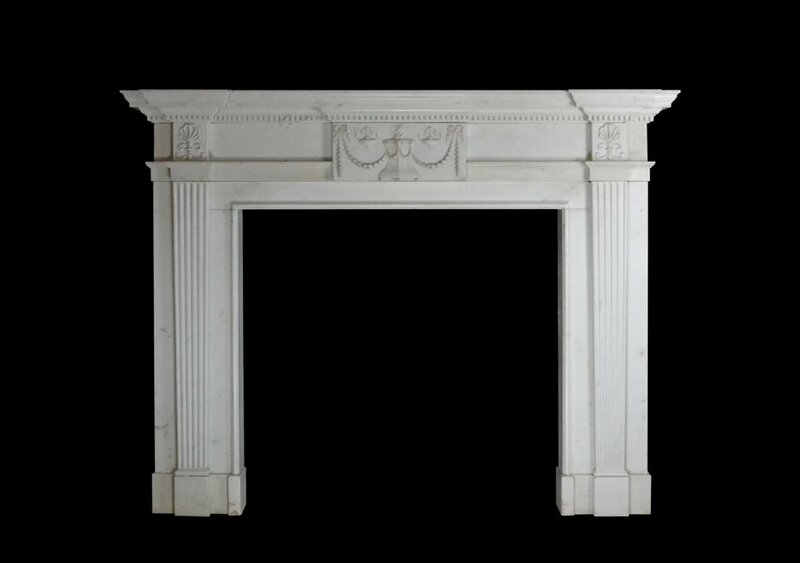 A very fine late 18th century Statuary marble chimneypiece of handsome proportions with breakfront corniced shelf incorporating a tier of dentil carving. 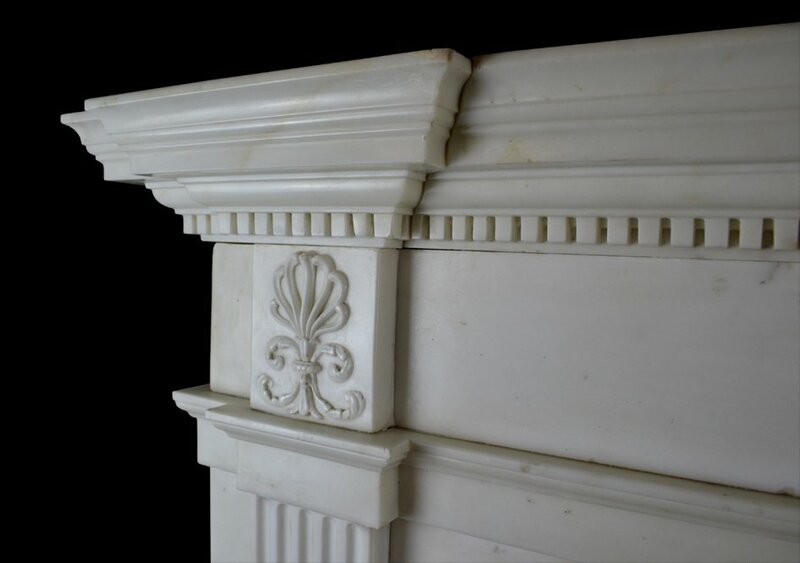 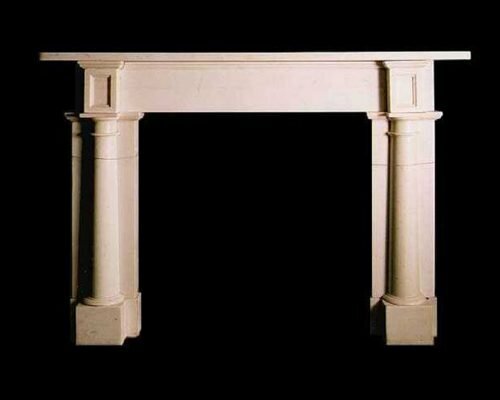 The jambs have stop fluted tapering panels terminating beneath corner blocks carved with anthemion detail. 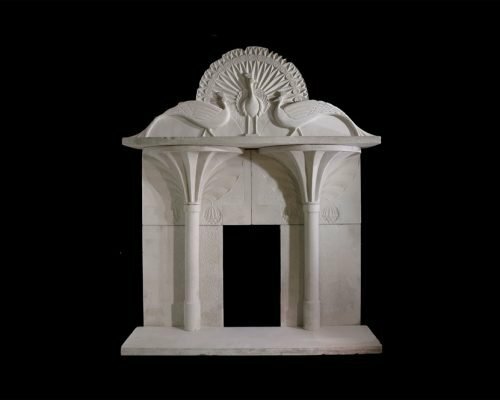 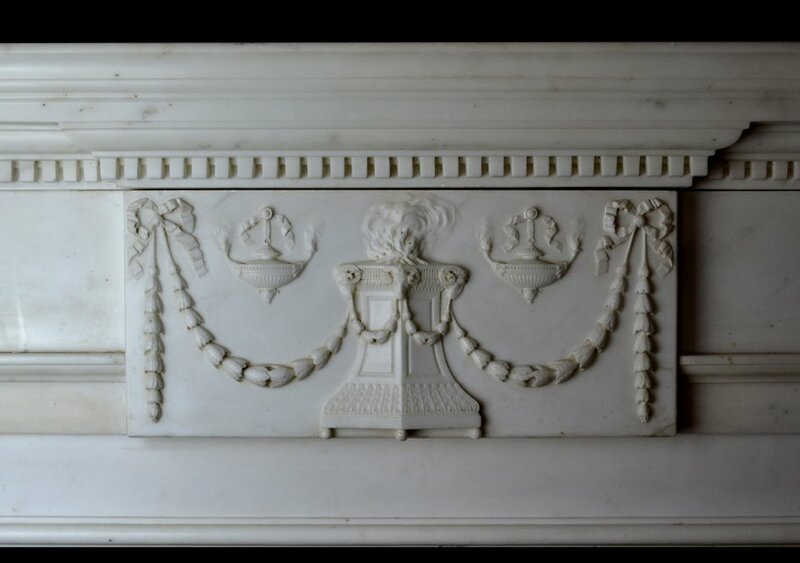 The plain frieze panels flank an exceptionally well carved neo-classical tablet.